This annual wildflower is native to the deserts of Arizona and is a very drought tolerant member of the Lupine family. It produces tall spikes covered in red, purple, yellow, and white pea-like flowers. 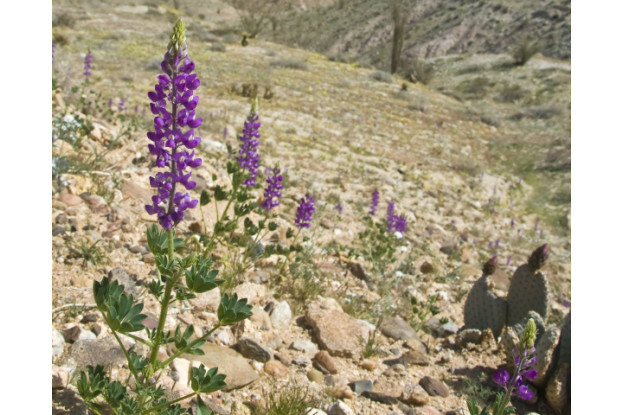 Arizona Lupine can grow up to two feet tall and blooms from February through April. It prefers sandy, well-drained soils and full sun. This is a common wildflower found throughout the Sonoran Desert and makes a great addition to rock gardens or roadsides.